This week has been a bit of a mixed bag on the Homestead. While 50% of our number have been laid low by one of those annoying viruses that has you sweltering one moment, shivering the next and generally feeling like a jelly-limbed, discombobulated dishcloth. those remaining on deck have managed to cross a couple more tasks off the list. While The Renovator and Farmer took turns at succumbing to the lurgy, poor Farm Girl’s freckles were very much in evidence (the definitive sign of ailment in the youngest Homesteader) for a good slice of this week and, most tragically, the entire weekend. On the positive side, it did mean she got to lie in bed for a good part of Saturday Chore-Day but, contrary soul that she is, she failed to recognise this silver lining and insisted on donning her new ABOS (Anti Bob-Odour Suit) and stumbling down to the paddock for a quick catch up with our happy herd. Thanks to cousin Luc for the hand-me-down suit which Bob suspects is slightly derogatory but can’t resist posing beside anyway. With the promise of frost in the air and the barometer backing this up, first on this week’s list was to construct a winter abode for the lemon tree. Whilst last years umbrella and bindertwine construction did the job, The Goat Herd/Chief Engineer has been keen to utilise some of the old Homestead windows. Ta-Daahhh! Lemon Tree Lodging, prototype number one. Then it was back to the perpetual garden clock, where we repurposed an inherited picket fence to act as a border between the proposed Homestead Orchard (well, three fruit trees, but we can dream) and garden bed number 1. 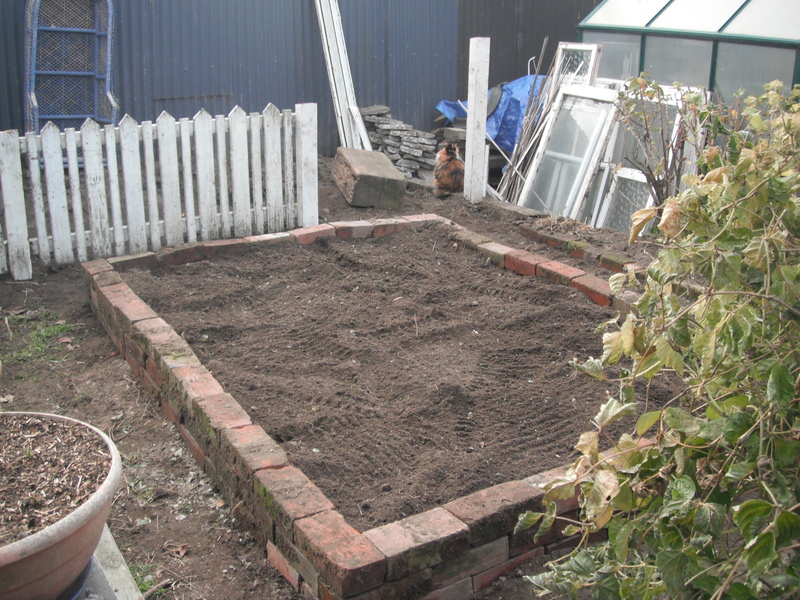 Meanwhile, The Bean Counter finished removing the elderly slab of concrete discovered languishing half a metre below our first ever garden bed so that, this week, the on-Homestead workforce (unaffected by the plague) could resurvey, restack and refill it. 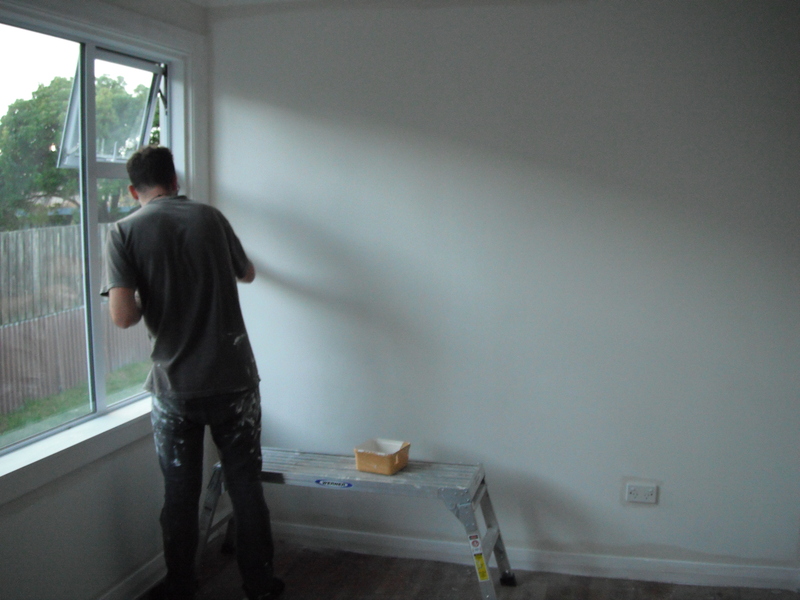 Inside, The Renovator has finished painting The Farmer’s room and has now moved on to the hallway: the final phase in the “front of house” makeover. One who has been part of the prolonged front of house makeover is Grant Sutherland and his happy band of floor sanders, who are scheduled to put the finishing touches on The Farmer’s room next week. 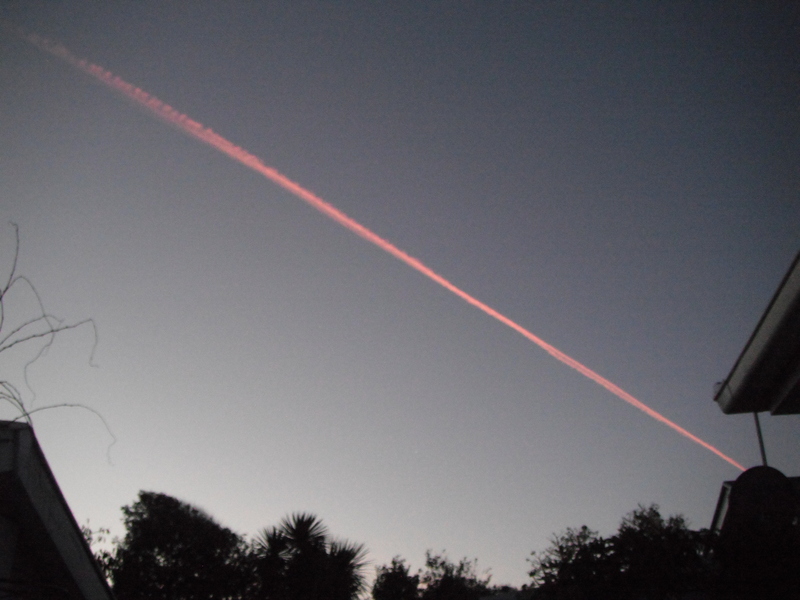 and only winter can pretty-up vapour trails like this. This entry was posted in Family, Garden, Goats, Union Homestead and tagged Aotearoa, Christchurch, cold weather, DIY, floor sanding, gardening, Homestead, house painting, landscaping, New Brighton, New Zealand, organic gardening, Otautahi, painting, prototypes, prototyping, redecorating, renovate, renovations, vapour trail, winter. Bookmark the permalink. Sorry about the dreaded lurgy and hope all the sufferers are back in rude health again. You have certainly got on with things round the property, good luck for a successful winter. Well what stamina..getting things done whilst being attacked by nasties form left, right and centre! Sending healing vibes! 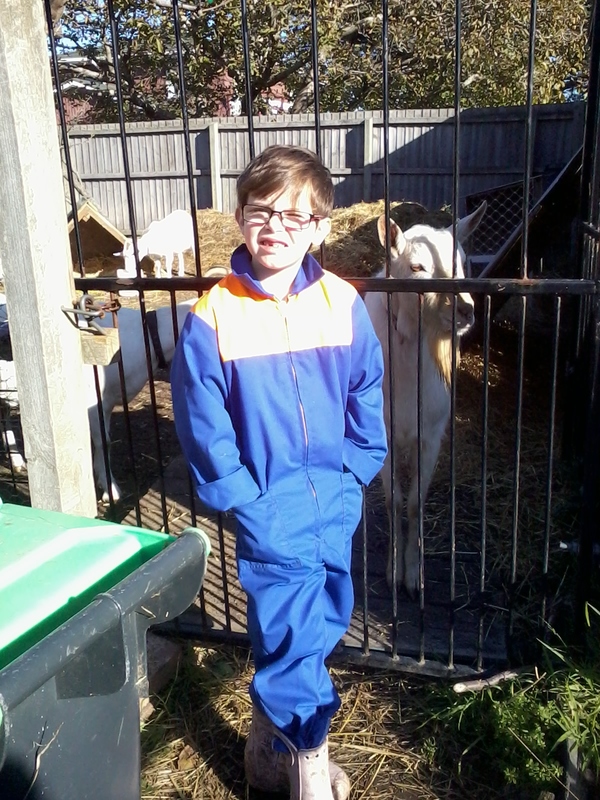 xo Johanna ps Farm Girl looks like one of the Avengers Superheroes in her cool coverall! Thoughts of winter coming are a bit discouraging as we are still trying to shake off last winter. The Bean Counter likes to ACT like his back is all better…it’s certainly way better than it was though. As to the reason for the buried concrete slab, it’s anyone’s guess. We encounter them almost whenever we dig. 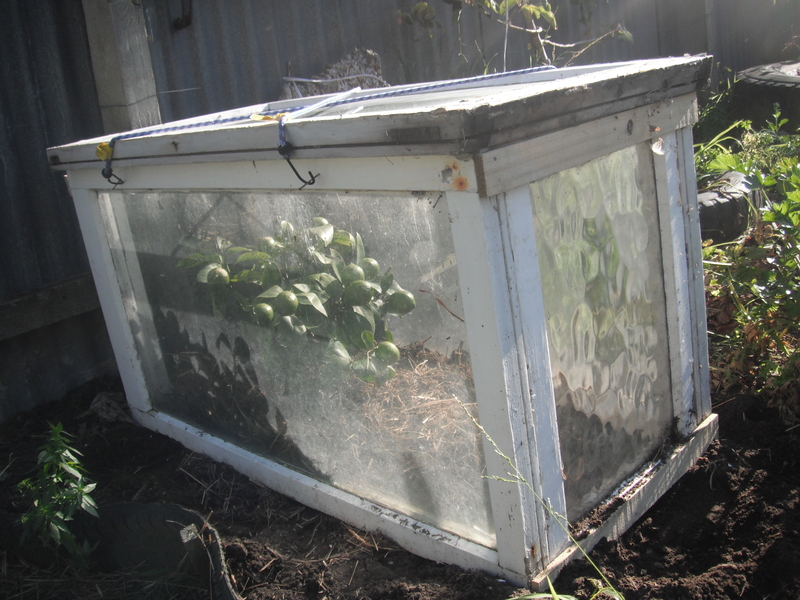 So far, the lemon house is working…the lemons are even ripening up! JOY!!! Yep, FG’s new look takes a while to get used to. Don’t tell her, but I still look for her ponytail when I’m trying to identify her in the post-school playground.